A magnificent place for you to appreciate visual and fine arts at its finest is just around the corner in heart of Las Vegas. Southern Nevada Museum of Fine Art that is located at the second level of Neonopolis Complex, 450 Fremont St #280, Las Vegas offers a wide variety of contemporary incredible art works.The museum was first founded in 2003 and moved to its current location in 2008. This is funded by a private and non-profit organization which seeks to uphold the dignity of artists by providing excellent art appreciation to the public. The Southern Nevada Museum of Fine Art plans to meet this goal not only through satisfactory exhibitions but also through inviting educational trips and hosting cultural activities. By doing so, the funding organization believes that this is the best way to reach out and promote a well balanced society. The Emporium offers a 20,000 sq. ft. area divided according to the type of gallery you want to view. Proposals of an extension for free-standing sculptures and huge works that might need to be installed are also working in progress. They display works of local, regional and even international artist for fine arts enthusiasts to adore. The museum also caters visiting artist that would like to post their artworks either for display or for the public’s bidding. They also hosted the International Contemporary Masters since 2010 which is an event participated by different incredible artist around the globe. The event aspires to showcase artist and their groundbreaking efforts in promoting innovation through arts. 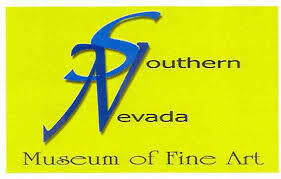 Visiting the Southern Nevada Museum of Fine Art deeper also allows you to experience a fun change from the glaring lights and famous casino life in the city. The museum is open for visitations every Wednesday to Saturday from 12 noon up to 5 pm. Entrance fee will only be $3 dollars and a yearly membership fee of $20 only is available. The museum also accepts donations and supports from the public for continual operations. Though it has been functioning for years now, public recognition is still a struggle that the Southern Nevada Museum of Fine Art is trying to gain. Even hosted events seemed to have a low appeal to the community despite the efforts of the operating group. They pointed out that such low response is not helping the museum to be productive especially during hard economic times. The supporting organization strives to promote their cause through advertising as well. They have a website providing basic information for possible visiting tourists to consult for food, accommodation and other needs. However, even these efforts are not recognized by the public. In addition to that, the organization admitted that they have not been receiving a great support from the city officials too. However, they hope that Neonopolis Complex will soon flourish and together with that the growth of the museum as well. Despite these struggles, it is no doubt that art is slowly settling in the interest of most individuals. With these information stated, there might be a big possibility for the museum to start rising to popularity like other attractions known in the city. Next time, if ever you want to enjoy the glory of Las Vegas, you might also want to explore the different appeal and beauty the state offers. Try visiting Southern Nevada Museum of Fine Art and experience a different kind of fun only a great work of art can give you.